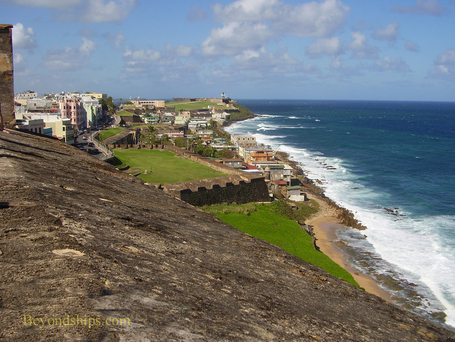 Along with El Morro, the fortress of San Cristobal dominates the skyline of Old San Juan. It is a massive structure. Indeed, it is the largest fortress in the Americas. Following the Dutch attack in 1625, it was decided that the city needed a strong hold to defend it from attacks from the landward side. The fortress was designed in segments, which if breached would not compromise the defense of the remaining segments. In 1797, the fortress helped to defend the city against an attacking British force under Sir Ralph Abercomby. In 1898, its batteries exchanged fire with U.S. Navy ships as part of the Spanish American War. After that war ended, San Cristobel became a U.S. Army base and was further fortified during World War II. It ceased to be a military base in 1961. 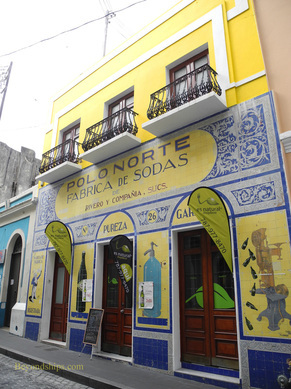 Just below San Cristobal is Plaza de Colon. At one time, the walls of the city ran through here and a gate formed the eastern entrance to the city. 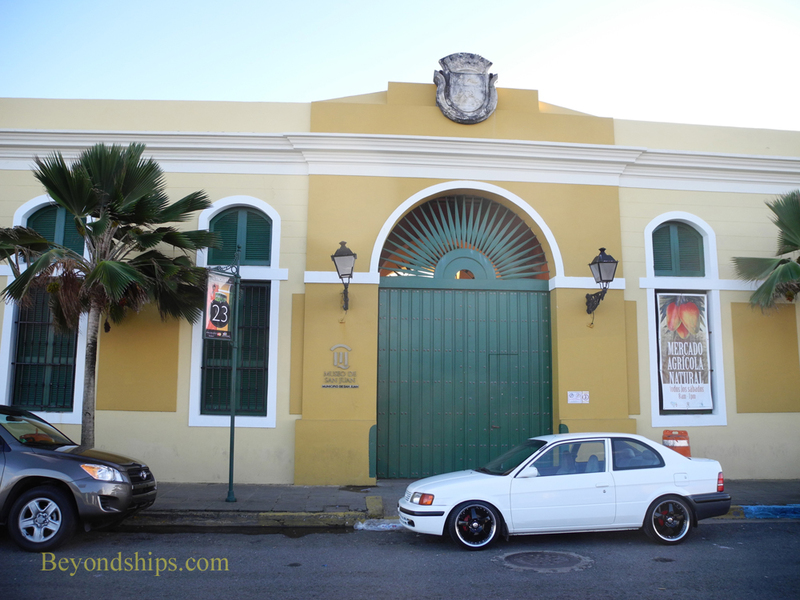 The gate and the walls were torn down in the late 19th century but this area remains the unofficial eastern entrance to Old San Juan. Restaurants and cafes border the plaza. However, it main feature is a statue of Christopher Columbus surrounded by a fountain. 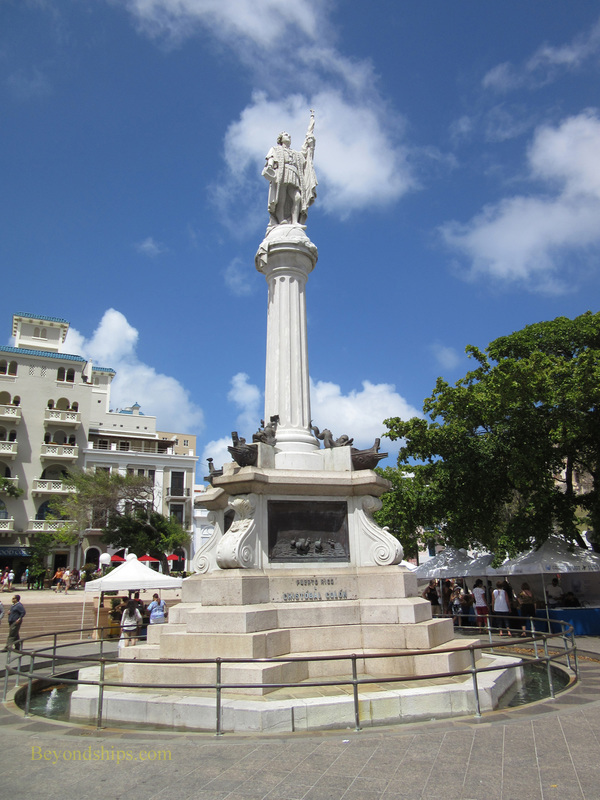 It was erected in 1893 to commemorate the 400th anniversary of Columbus' sighting of Puerto Rico, which began the colonial period. 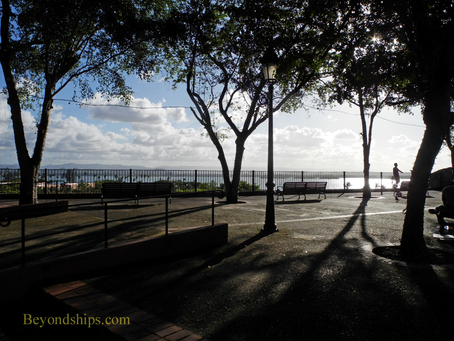 Once a gun bastion on top of the city walls, Parque de las Palomas offers panoramic views of the harbor and the city. 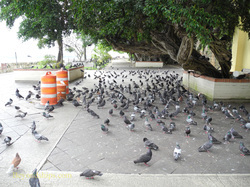 In addition, families often come here to feed the resident pigeons for whom this small park is named. Next to the park is a chapel dedicated to Santa Catalina. 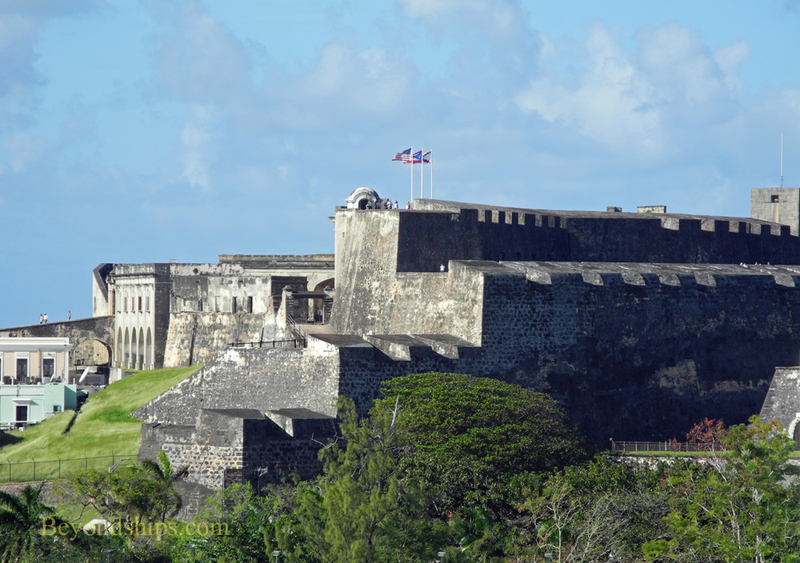 It was moved here in the mid-17th century from a location near La Fortaleza because it interfered with artillery firing from that fort. The prevailing local legend, however, has it that the chapel was built in 1753 as a result of a horse race. Supposedly, the riders were racing down Cristo street, when one found that he could not stop. Some versions of the story say that he prayed and was prevented from flying over the city wall, others say that he did fly over the wall but survived. Either way, it was considered a miracle and the chapel was supposedly built to mark the event. A version more consistent with the fact that the chapel pre-dates the race is that the rider crashed into the wall next to the chapel and was thus saved from going over the city wall. This was regarded as a miracle and so a painting was hung in the chapel in remembrance. Just down Cristo street is the Casa del Libro (House of Books). This museum has a collection of antiquarian books and manuscripts including documents signed in 1493 by King Ferdinand and Queen Isabella of Spain and a copy of Cervantes' Don Quixote from 1605. The Teatrio Tapia is one of the oldest free-standing theaters still in use in the United States. It was begun in 1824 and drew from Italian opera house designs with a horseshoe shape and three tiers of boxes. 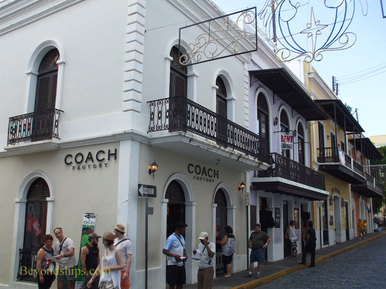 For more than a century it was the center of cultural life in San Juan but by the 1940s, it was suffering from years of neglect. 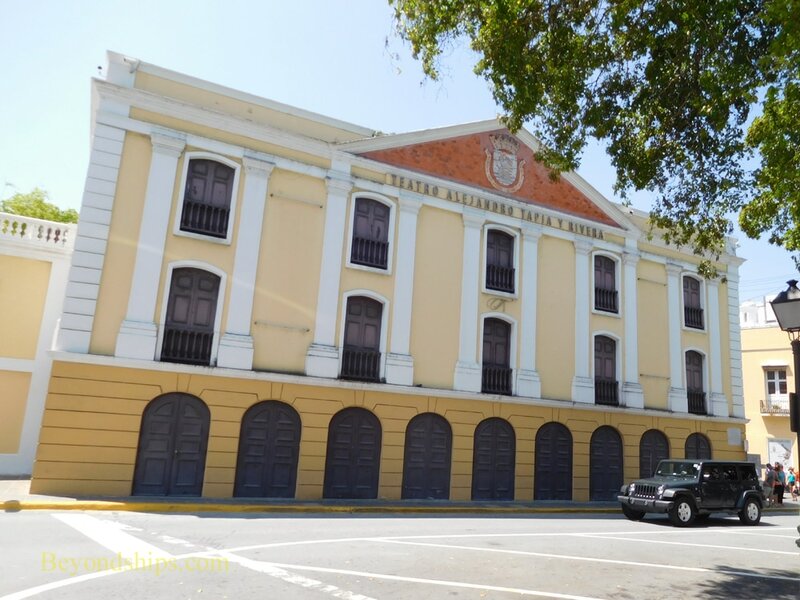 The theater was saved through the efforts of San Juan's long-time mayor Felisa Rincon de Gautier. 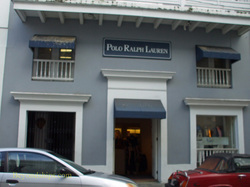 The Museum of San Juan (formerly the Museum of Art and History of San Juan) is housed in a building that was built as a public market in 1855. 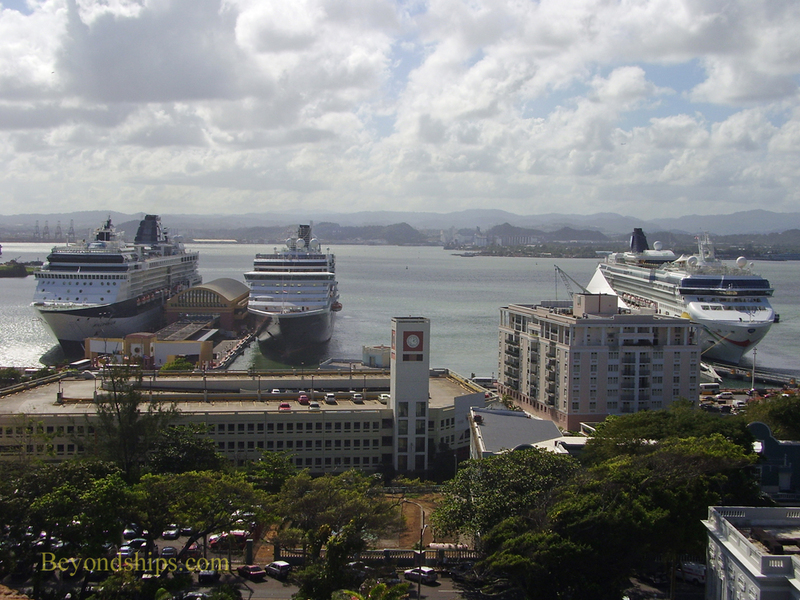 It has a permanent exhibit on the history of San Juan as well as temporary exhibitions. 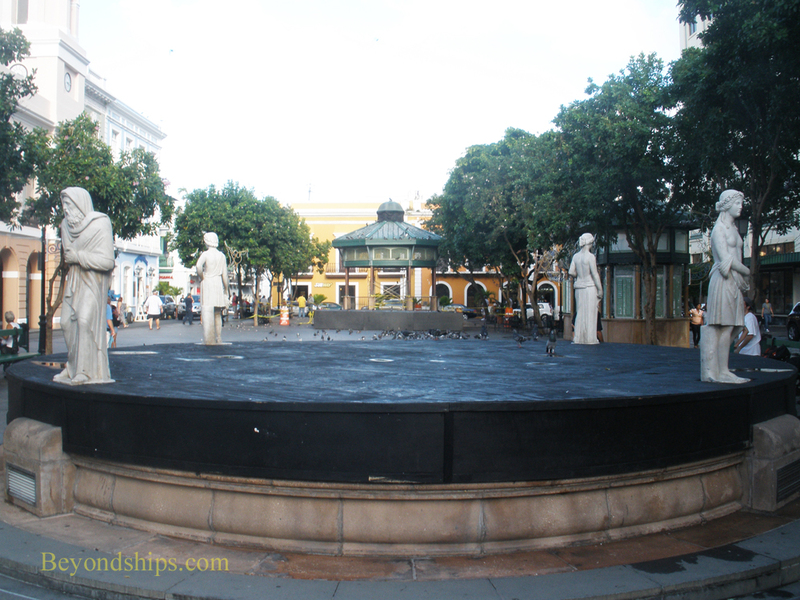 The Plaza de Armas was created in 1521 as San Juan's main square. Its name derives from the fact that Spanish troops used to drill here. Until 1851, the plaza was primarily a market but in that year it underwent a renewal. Sculptures and fountains were added and it became a social meeting place. 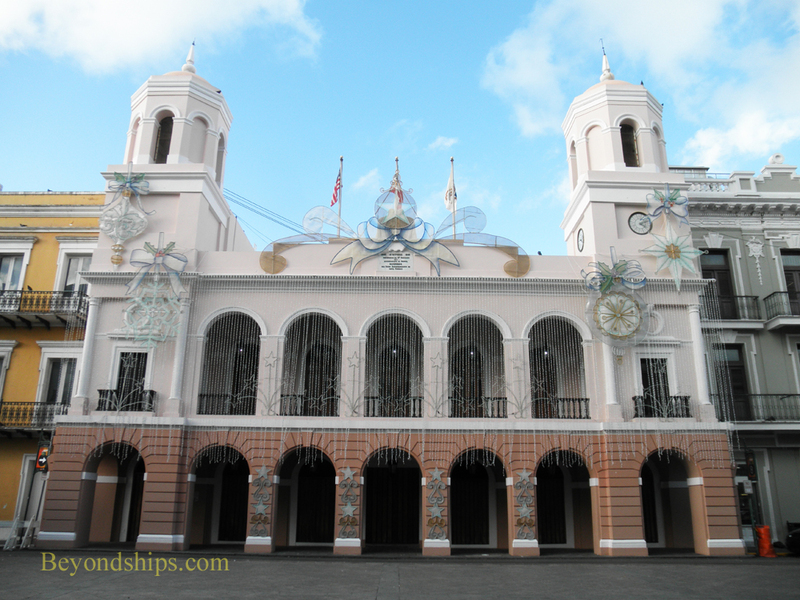 On the north side of the Plaza de Armas is La Alcaldia, San Juan's city hall. It dates from 1602 but was not completed until 1789. Left: The statues surrounding the fountain represent the four seasons and are over a century old. 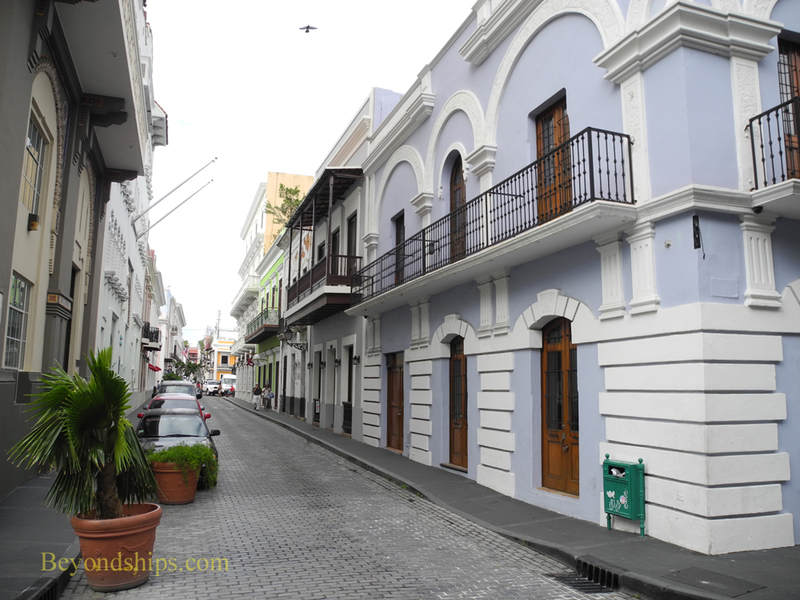 Old San Juan is not just charming architecture and history. There is also a considerable range of shops covering the gamut from internationally known luxury outlets to colorful local shops. 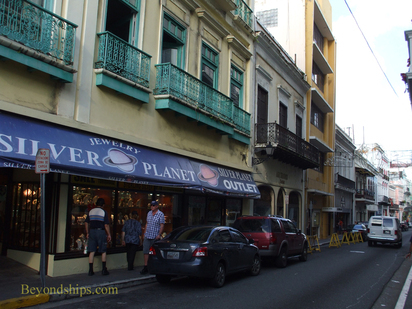 Cruise ship port shopping guides tend to recommend the shops along Calle Fortaleza not far from the cruise ship piers. However, there are also upscale names on Calle Cristo.